Good thing Carrie has a therapist, Dr. Petrov (Nathan Lane), who helps her make a list of life goals — things that would be pretty easy for most people but prove challenging for Carrie: go on a date, go to a party, find things she loves and do them, etc. But she gradually makes progress on the list in her own way, meeting and getting to know some colorful characters in the process, including philandering fiance Matt (Jason Ritter), suave Professor Harrison (Colin O’Donoghue), and musician-next-door Cy (William Moseley). 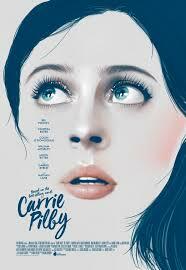 Adapted from Caren Lissner’s teen novel by screenwriter Kara Holden and directed by Susan Johnson in her feature debut, Carrie Pilby is a charming, quirky slice-of-life tale about a unique young woman who learns important things about negotiating relationships and believing in herself. Quick to see things in black vs. white terms when the movie begins, Carrie gradually accepts the fact that there are many shades of gray — but she also embraces her ability to change situations she’s unhappy with. Powley makes Carrie sympathetic (even though you might also want to shake her sometimes…), especially when it comes to dealing with the many men in her life who patronize her or let her down. Ultimately, she doesn’t let them define her or prevent her from finding — and taking — happiness. Susan Wloszczyna: The 19-year-old girl genius at the center of the dramedy Carrie Philby, as played by the utterly beguiling Brit actress Bel Powley (The Diary of a Teenage Girl), initially stirred welcome flashbacks to 1964’s The World of Henry Orient as well as 2002’s Ghost World, in which bright young women struggle to crack the mysteries of love and life. And, for a good while, Powley with her Keane-sized cornflower eyes, pert nose, plush lips and impetuous yet meticulously worded and judgment-laden observations are enough to keep us watching. But then her therapist (Nathan Lane, who should sport facial hair more often) gives this precocious Harvard law school grad a rather banal to-do list to help her break out of her hermit-like existence – which is not that bad, given that she has a swell New York apartment with a spectacular view. And, suddenly, a whole raft of men along with pet goldfish enter the picture who clearly aren’t quite deserving of Carrie, save for Gabriel Bryne as her estranged dad. Pam Grady: Diary of a Teenage Girl star Bel Powley adds further evidence that she is one of the most talented actors working today with a pitch-perfect performance as a precocious adolescent, a recent Harvard graduate, grappling with social isolation, troubling memories, and long-standing family drama in this character-driven drama. Nell Minow: Bel Powley, one of today’s most versatile and appealing performers, is a pleasure to watch in this warm-hearted story about a girl who knows a lot about facts and books but very little about people and relationships. Anne Brodie: Carrie Pilby is the bittersweet story of a girl (Bel Powley) with an IQ of 185 living alone in New York to avoid life with her father in London. She can’t bring herself to live a “normal” life as she has problems relating to others she considers less “moral ethical and intellectual” than she is. i.e. No one. Net-net, lonely nights and lots of reading. Her psychiatrist (Nathan Lane) and father (Gabriel Byrne) struggle to deal with her situation but she refuses to listen. The film has a sweet heart with a bitter coating, like Carrie, and its hard to sympathise with someone who constantly refers to her intelligence to elicit sympathy or to hold people at arm’s length. A predatory professor takes advantage of her and tough lessons are learned. The cinematography and direction are key in this quasi-cerebral coming of age story, as they warm a tough story. 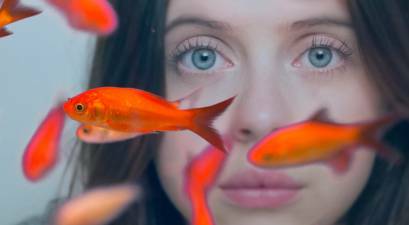 Liz Whittemore: Carrie Pilby is an incredibly insightful coming of age story. Bel Powley is lovely and talented as ever. Brilliantly directed by Susan Johnson, we are privileged to watch the honest journey of a young woman, too smart yet too emotionally stunted for her own understanding. The cast includes some of the best in the industry. Nathan Lane, Gabriel Byrne, Jason Ritter, and Vanessa Bayer all shine alongside Powley’s natural ability to own each role she tackles. Kara Holden’s screenplay inspires any audience to seek Caren Lissner novel, on which the film is based. Carrie Pilby is a real gem. Sheila Roberts: Susan Johnson’s directorial debut, Carrie Pilby, is an upbeat coming-of-age romantic dramedy adapted by Kara Holden from Caren Lissner’s YA novel of the same name about a smart but emotionally stunted 19-year-old prodigy struggling to get her life in order. Despite the limitations of an underwritten script, the talented Bel Powley elevates the proceedings by delivering a sparkling performance that is equal parts funny, optimistic, inspiring, and heartbreaking. It’s enhanced by convincing chemistry with co-star William Moseley who plays a potential love interest and a charming turn by Nathan Lane as her well-intentioned therapist. Betsy Bozdech is the Executive Editor of Common Sense, for which she also reviews films. Her film reviews and commentaries also appear on Reel.com and Hollywood.com.